My current contract is finishing mid Septembre and I have a one month notice so if you know a company doing cartoony games, TV series or even animated feature and looking for an animator with generalist skills in Maya, direct them to my showreels and portfolio section! I am flying to LA and San Francisco on saturday but will be back the second week of August. 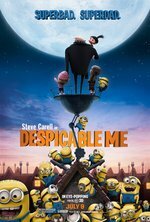 I just found that very interesting interview of “Despicable Me” (DM)’s producer Christopher Meledandri. Some very familiar names popped up! Alright we knew that co-director Pierre Coffin was “Pat and Stan” creator but did you know that the original idea was from Sergio Pablos? 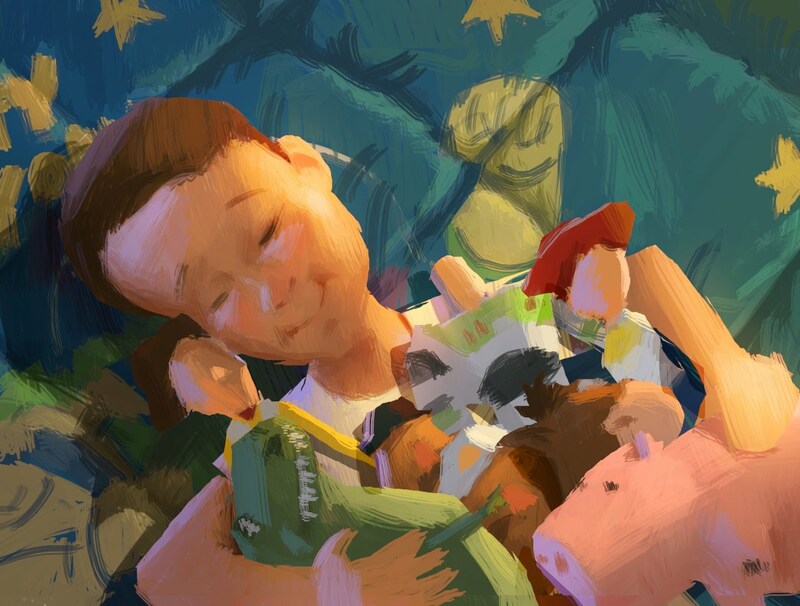 Did you know that the character design had been handled by no less than Ratatouille character designer Carter Goodrich??? and yes “Lorax”, an other Dr Seuss book adapted for cinema release has finally been announced. The movie has finally reached $145M after only 2 weeks by the way. No bad when you take in consideration that it is fighting for screens with Shrek 4 and Toy Story 3. Our game designer Gary Napper just came back from San Francisco where he presented our game “Spare parts” to reporters. 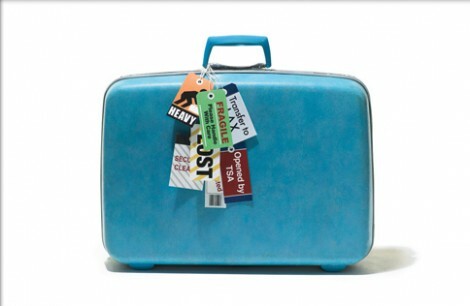 Want to find out what “Spare Parts” is about? The robots at the bottom in the background are performing some of my “idle animations” by the way. 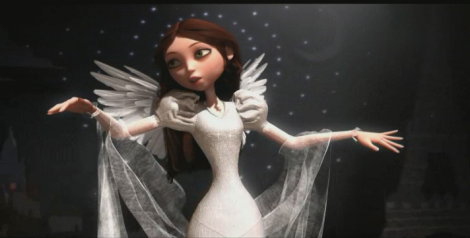 This is Vanessa Paradis’ character singing. Man I grew up with the 2d series and the 3d trailer looks awesome!!! With a worldwide boxoffice of $92M after only 1 week of domestic release, “Despicable Me” is a huge success for Mac Guff and Pierre Coffin. “Planet 51” only totalled $105M in 16 weeks. Would the success of Despicable Me (DM) due to the large pool of talents found in France? I have been told that during Annecy, Pierre Coffin was really really excited by the release of the movie and on stage, he even thanked the french government for its help. Remember it is only an anonymous survey and only 690 people replied. No wonder a lot of europeans want to emigrate to the USA and a lot of american companies want to outsource in europe. 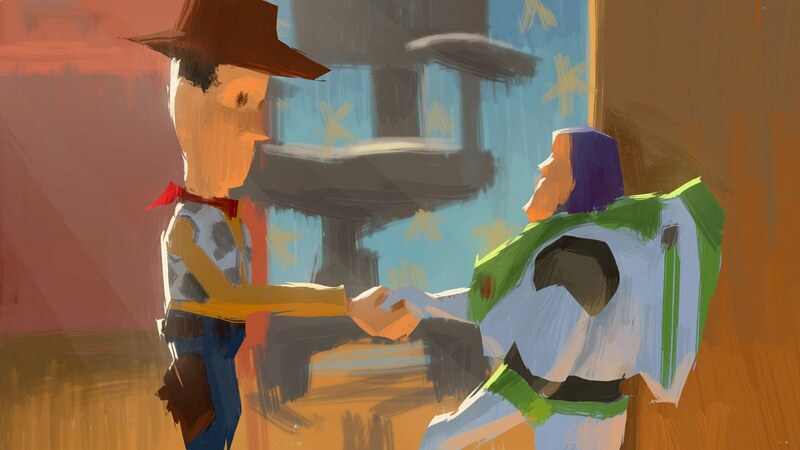 I came across some Dice Tsutsumi‘s Toy Story3 color script thumbnail this week end and was blown away by his understanding of colours and lighting!!!! As rought as they are, all the information is there for the lighters to start their work. Amazing stuff. This guy is a rendering engine equipped with all the radiosity features you can dream of! 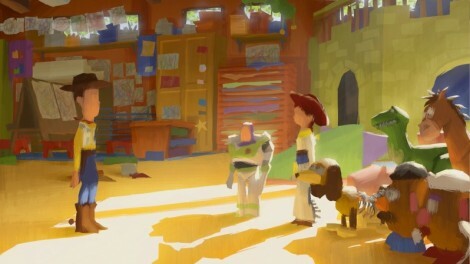 Check out the subtle nuances in the shadows, the reflected light under the chin of Buzz and Woody, the contrast between cold and warm hues. 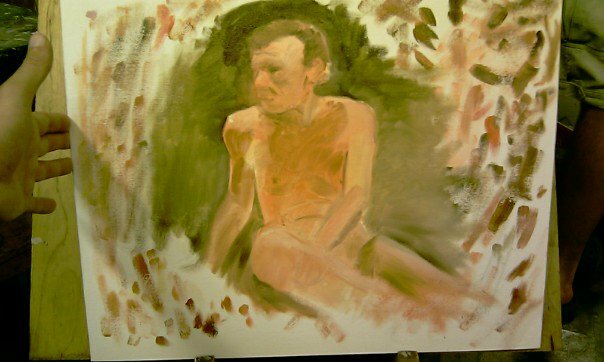 This made me want to go back to oil painting and experiment with those things on monday. This is only my third painting so please forgive the basic technique. I am pretty much self taught. I spent most of the time on the right shoulder, trying to get the highlight and reflected light. The model kept moving so I wasn’t able to do much work on the legs. Really enjoyable!